Gardening in a bog does have its up sides and for us it’s our beautiful pond! Constantly refreshed by rainwater and currently home to thousands of tadpoles and plenty of newts. The pond is one of Pete’s pet projects and was first dug about 9 years ago but this is what is looked like when we started the project in 2011. It was totally overgrown, the water is there but there was no way to see it. So with £1000 funding in January 2012 from the lovely people at Green Capital we hired a sluice and got digging. Time was tight as we had to get busy before the frogs did. The pond has been dug out, reshaped and even had a little island built. We were also very grateful for the help of a group of fab volunteers from Lloyds Insurance who came and built an amazing path to make the pond more accessible and since then have had groups of happy pond dippers come over from Bishop Rd Primary, Ashley Down Primary School, Pied Piper Nursery, Rosemary Early Year Centre, Brownies, Time to Share and more! And if you’re ever walking past on a Wednesday and fancy a pond dip then pop in and we’re happy to get the nets out. 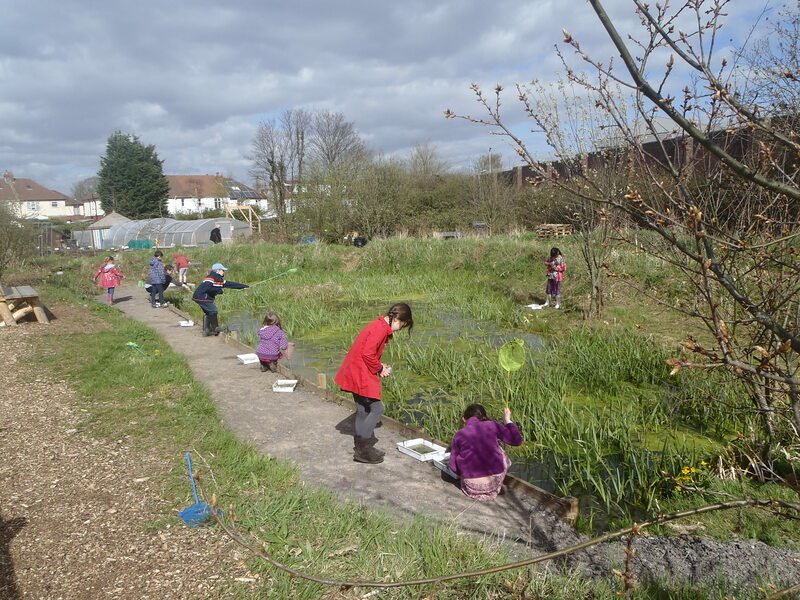 And we also very grateful for the Neighbourhood Partnership for giving us £500 towards the final phase of the part of the plan- building accessible dipping platforms. This community resource generates a lot of interest especially amongst the younger allotmenteers . 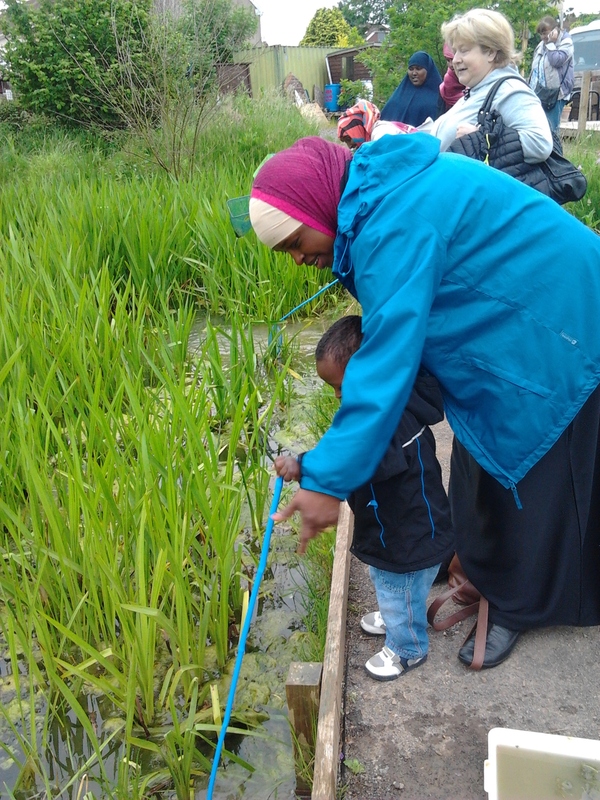 The clear water makes tadpole viewing easy and if you’ve a spare minute or two in spring to gaze into the water you’ll be rewarded with a newt popping up and baby newts are swimming round til September. That’s the Golden Hill Community Hill Garden newt spot guarantee!